ISLAMABAD: Around 2,574 outlets of 75 units of textile and leather sectors have started real-time information of their sales to Federal Board of Revenue (FBR), a statement said on Wednesday. 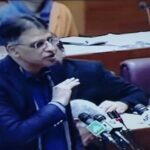 “The FBR has started receiving live transactions of sales of finished articles of textile and leather and the eligible persons integrating or having already integrated their systems with the FBR can now avail of reduced rate of 6 percent on their sales as announced by the federal government,” the statement said. The federal government had notified effective from July 01, 2018, a reduced rate of 6 percent for finished articles of textile and leather for those registered persons who are online with FBR’s computerized system. This system was made operational by issuing SRO 1360(I)/2018, dated November 12, 2018. “As many as 75 registered persons are now integrated with FBR and declaring sales of their 2574 outlets through this system,” the FBR said. The FBR’s system is now ready for receiving live sales transaction as specified in rule 150ZEB of Sales Tax Rules 2006. The eligible registered persons can download software and integrate all their already declared outlets with FBR’s system. This is to be done by March 03, 2019, in order to regularize the reduced rate already availed. In case of failure differential amount shall be recoverable. The persons volunteering to integrate their systems for availing reduced rate on future supplies and who fulfill conditions in rules can approach respective Commissioners for approval in this respect. Websites hosted with a registered domain name have also been recognized to be treated as sales made through Point of Sale (POS).